Alvey and daughters ... the power of the post-mistress! If you are a fan of Lark Rise to Candleford you will remember that Dorcas Lane establishes herself as a woman of independence and influence in late 19th Century Candleford through her role as the village post-mistress. Flora Thompson's stories were based on her own experience as a post-mistress and appear to accurately reflect the curious authority of the role at a time when women didn't have the vote and faced significant restrictions on employment and property ownership. Having enjoyed the TV dramatisation of the novels I was interested to explore the experiences of my 4x great grandmother Elizabeth Alvey who was post-mistress of the village of Burton Joyce in Nottinghamshire. 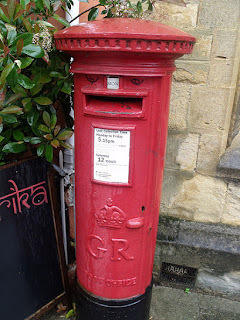 Although, this is not strictly a blog post about Gedling - the focus of my one place study - Burton Joyce is the neighbouring village and the story that I have unravelled about the changing role of the 19th Century post office is as relevant to Gedling as it is to Burton Joyce. It is a story that put the large number of post-mistresses right at the heart of dramatic technological, financial and commercial change. 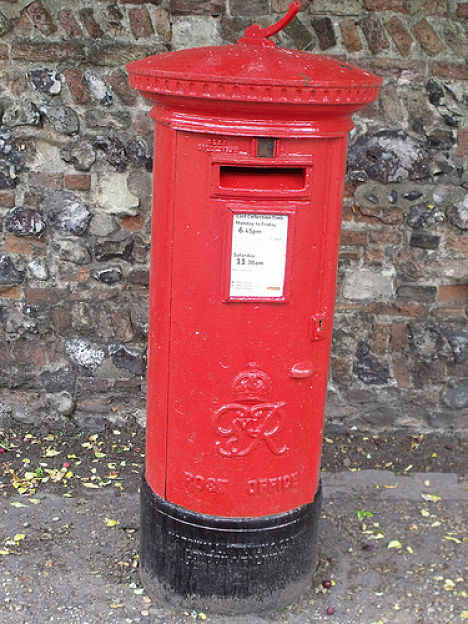 The early role of women in Britain's Post Office is highlighted in the earliest available Nottinghamshire trade directory - the Nottingham Directory of 1815 - which refers to a Post Office on the High-street in Nottingham that was run by a Mrs Rayner. Pigot & Co's Directory still has Mrs Rayner in place 13 years later in 1828-9. Mrs Rayner must have been a prominent figure in Nottingham at a time when women were almost completely absent from any kind of clerical work. 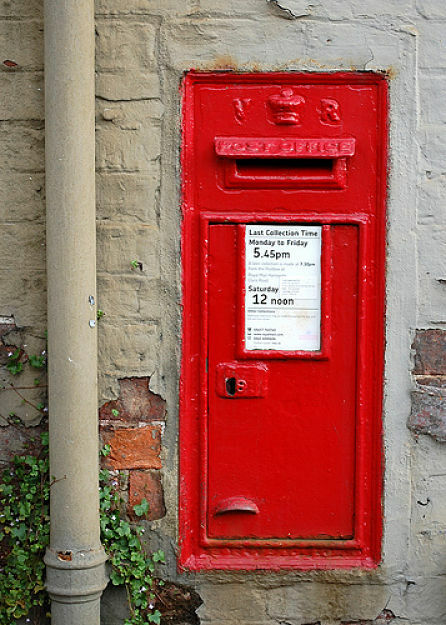 At this point in time there were no established post offices in the Nottinghamshire villages and the distribution of letters and parcels was largely the responsibility of various private "carrier" services. Burton Joyce is less than 6 miles north east of Nottingham but in 1832 Whites directory recorded that the village carrier service run by a John Swinscoe ran just twice a week. By 1847 Slaters directory records some competition between carriers with "Goodwin" offering a daily service from the Lord Nelson and Martin a Saturday service from the Dove and Railway. This competition appears to have been temporary as by 1858 Wrights reports again just a twice weekly service by Goodwin departing from the Lord Nelson. But in the late 1840s and early 50s other changes had taken place to undermine the carrier service. A train station had opened at Carlton just a few miles away and by 1851 a post office of some form must have opened because in the census of that year my widowed 4 x great grandmother Elizabeth Jackson (nee Alvey) was recorded as "post mistress". The Post Office itself seems to have been less forthcoming with the title of "Post Mistress" for in its own directory of 1855, men in the role are described as "Post Masters" whilst women such as Elizabeth are just described as "Receivers". It may indeed have been a simple service that Elizabeth was providing at this time. 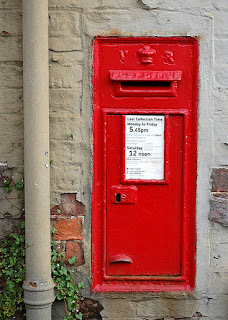 The village had only 600 residents and the post arrived by foot from Nottingham just once a day at 10am. Anyone in the village wanting anything more complicated such as Money Orders still had to go into Nottingham. Elizabeth continued in her post - that she repeatedly recorded in the census as Post Mistress - right into her 80s. In her final years she was supported by her unmarried daughter Patty, who had previously left Nottinghamshire to work as a domestic servant, and on Elizabeths's death in 1875 Patty took over the role of Post Mistress or as the 1876 Post Office Directory still insisted on calling it "Receiver". 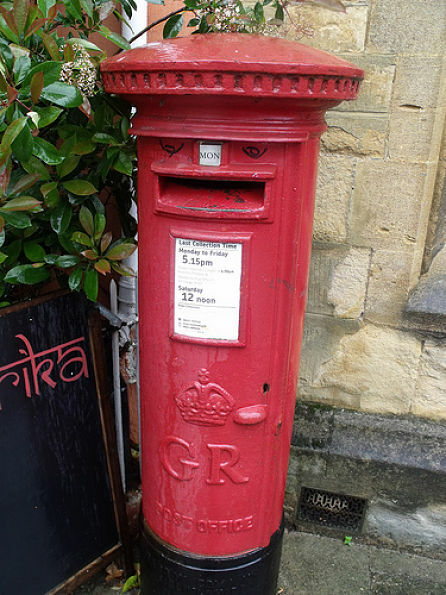 By 1876 the post was delivered twice a day from Nottingham but the villagers had to go to Carlton to get Money Orders or make use of the new Telegraph Services and Government Annuity & Insurance Schemes. By 1885 this had all changed. Burton Joyce now had its own station and Patty was presiding over a Post and Money Order Office and a Savings Bank (Whites 1885). And by 1891 Kellys Directory records that she had added the government Annuity & Insurance Scheme to the services that she offered. Patty herself seems to have made use of the Savings Bank as when she died in 1903 she had saved enough money to leave her niece Ellen Sophia Johnson (nee Kirkham) the equivalent of £35,000 in her will. Not an enormous amount but a significant achievement for a woman from fairly humble origins whose only previous employment had been as a domestic servant. 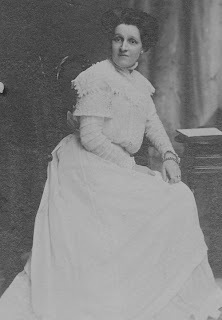 Ellen assisted Patty in the Post Office before her Aunt's death and subsequently took over as Post Mistress and continued to run the service after the birth of her two children. Just a year after Patty's death Ellen had added Parcel Post, Express Delivery and Telegraphic Money Orders to the services that she offered. 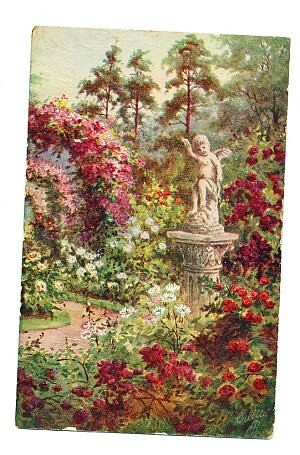 (Kelly's 1904). The instant transfer of money that Ellen's Telegraphic Money Orders allowed would have been quite unimaginable to her grandmother Elizabeth who just 50 years before had to wait for the post to arrive on foot once a day from Nottingham. The final record I have found so far of Ellen's work as a Post Mistress is a rather sad one - it being a bankruptcy order against her son Herbert in the Edinburgh Gazette in November 1929. I don't know how much longer Ellen continued to work at the Post Office after 1929 but between them Elizabeth, Patty and Ellen - a widow, a spinster and a married mother - continuously ran the Post Office in Burton Joyce for over 80 years during which communication between their little village of Burton Joyce and the rest of the world was transformed. Palethorpes are found in Gedling, Nottinghamshire from the 17th Century. In the 1760s a David Palethorpe married Winifred Oldknow and all their children were baptised with Oldknow as a middle name. This seems a pretty straightforward story. But for the next 150 years all the Palethorpe children - boys and girls - were given the middle name Oldknow and it wasn't just the Gedling Palethorpes who did this. 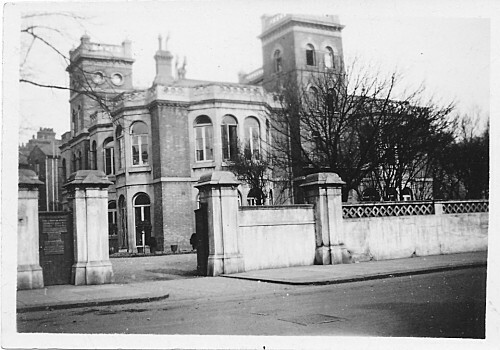 There was also a whole host of other Nottingham families - Bardills, Bassets, Brandreths, Burrows, Clarkes, Hammersley, Harrisons, Huthwaites, Mussons, Oldhams, Swans, Weltons and Wrights - who all took on the name Oldknow in the 19th Century. This desire by so many families to make a big deal of the name Oldknow obviously suggested that the Oldknows were important people in Nottingham. 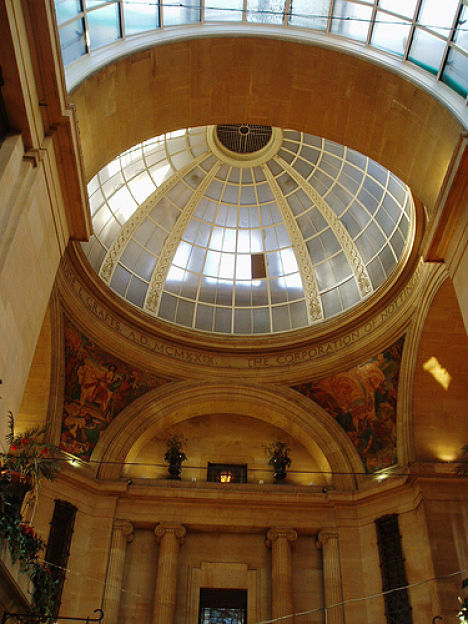 And initial research revealed that the Oldknow family in Nottingham were indeed prominent industrialists and involved in local politics with members of the family serving as Mayor of the town on 8 different occasions between 1773 and 1879. Something however still didn't ring true to me. Families like the Palethorpes in Gedling seemed obsessed with highlighting to everyone in their village their very tenuous connection to the Oldknow family. And then I discovered why. Calling yourself Oldknow in 19th Century Nottinghamshire wasn't just a bit of social snobbery. It was an act of political alleigiance - the equivalent today of calling your children Obama or Romney! Every time these Nottinghamshire families baptised their children Oldknow, they declared themselves "radicals" for the Oldknows were political operators infamous not only in Nottingham but also in Westminster. Very broadly, English politics in the 18th Century was divided between Whigs and Tories. In crude terms this was a divide between the Whigs who had supported firstly, the "Glorious Revolution" of 1688 which overthrew King James II and established a constitution and secondly, the succession of the Hanoverian Protestant George I to the throne in 1714. Again in crude terms, the Tories had opposed both. Despite their differences, both parties largely represented the interests of the landed aristocracy. By the end of the 18th Century new political forces were at work. Both America and France had experienced spectacular revolutions and in Britain a new "radicalism" took hold amongst both industrial workers and new self-made industrialists who were religious non-conformists. Nottinghamshire had a long tradition of religious non-conformity and political rebellion going back to the English Civil War and the Mayflower pilgrims. By the late 1700s a cabal of Baptist industrialists - including the Oldknows plus the Birkin, Frearson, Rogers, Leavers and Heard families - had won political power in the town itself and the Oldknows had won themselves such a reputation as radicals sympathetic to the French Revolution, that their house was attacked by a Tory mob. Political tensions in Nottingham came to the fore in the 1802 election at which the Tory MP Daniel Parker Coke was defeated by the Whig Joseph Birch. Coke was seen to represent the interests of Tory landowners in Nottinghamshire whilst Birch was supported by the radicals on Nottingham Town Council including the Oldknows. Although defeated by a large margin Coke refused to accept the election result and claimed that Thomas and Joseph Oldknow, the magistrates responsible for overseeing the election, had willingly let radicals run riot through the streets of Nottingham, preventing him from speaking and forcing him to leave the town. 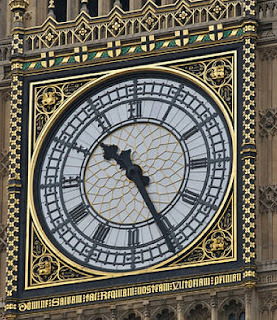 Coke, with the support of the Tory establishment in the County, took his case to Parliament and in 1803 a fierce debate was held in the House of Commons as to whether the Nottingham election result should be over turned. In the debate the Oldknows were accused of just about everything under the sun including a "systematic plan ... founded on French principles" - i.e. revolutionary activity - to overthrow Coke. 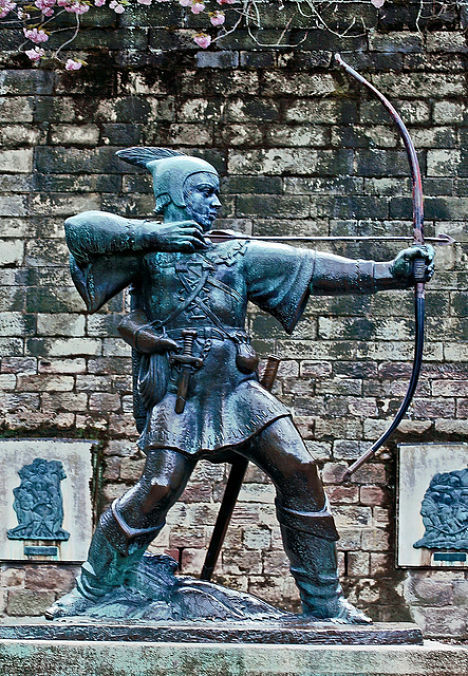 And with the bit between its teeth the Tory majority in parliament pushed to overturn the charter of 1284 by which Edward I had granted the town of Nottingham government of its own affairs. 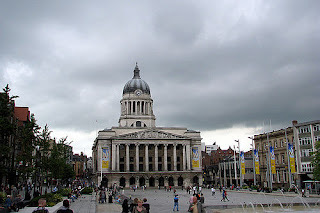 It fell to Charles James Fox, the leader of the Whigs, in a long and commanding speech to defend the Oldknows, Nottingham's ancient rights and the liberty of the British people themselves: "They [the Oldknows] were ready to answer any charges that could be brought forward. They desired to know the nature of their guilt, if any could be alleged, and the degree to which they were guilty? But this was not done. They were not to be taken before any legal tribunal, but they were to suffer from a kind of punishment which excluded trial and defence." Fox cautioned the House "to beware of the nature of this bill which went to establish a precedent for the invasion of ancient charters ... for it would enable the magistrates of the King's appointment to rule over the magistrates of the people's election. It would be extending that dangerous power of the crown ... for the first attack of all those who meditated the subversion of British liberty was upon corporate towns, upon those charters which formed the best security of popular rights, and the most effectual control on ministerial power - Nottingham was about to lose its privileges for exercising its control. The independent spirit of its corporation was to be the cause of that privation." Stirring stuff and the House of Commons did indeed step back from revoking Nottingham's charter but by a large majority overturned the election that the Oldknows had administered. Despite this defeat, the Oldknow family and other radical Baptist industrialists continued to be at the heart of political power in Nottingham. The town council was a vehement supporter of extending voting rights and bitterly condemned the deaths of protesting workers at the "Peterloo Massacre" in 1819. And in the next generation the Oldknow family were notably willing to involve themselves actively in political protests by the ordinary people of Nottingham. In 1817 Octavius Oldknow signed a petition to parliament calling for universal suffrage and in 1832 he attended meetings organised by the working class "Nottingham Political Union" in support of the Reform Act. 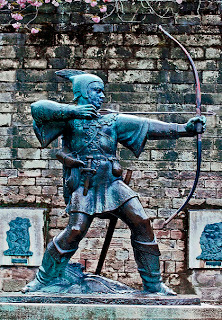 It is not clear how many if any of the 19th Century Nottinghamshire families who took the name were directly related to the infamous Oldknows who dominated Nottingham politics but for over a hundred years families such as the Palethorpes in Gedling pinned their colours to their sleeve and let everyone in their village know exactly where they stood politically. Unfortunately, the tradition came to an end with my great grandmother - a staunch Tory and Anglican - who refused to call her Palethorpe children after "those Oldknows". Maybe it's because I'm a Londoner that I love Middlesbrough! My grandfather was born and raised in the north of England in the 1920s but he was a lifelong "Gooner". That is - for those of you not fans of English football - he supported Arsenal, a football club founded in south London in 1886. It wasn't that he was disloyal but that his mother's family had moved north from London where they had all worked at the great Woolwich Arsenal ordnance works, the birth place of Arsenal football club. I was incredibly surprised on first discovering that my "northern" grandfather was - at least half - a Londoner. The story didn't seem to fit with the picture I had of migration to the great industrial cities of northern England that grew like wildfire in the 19th Century. I thought these cities had been built on local rural workers and migrants from those areas of the UK that suffered the worst agriculturally - Ireland, Scotland, Norfolk, Suffolk, Cornwall and the like. Not Londoners! I couldn't understand why my grandfather's family would have moved from south London where they were settled and had employment to the area around Middlesbrough in north Yorkshire to which they had no ties. The work at the Arsenal was certainly hard - my grandfather's grandmother filled ammunition caps there when she was just a child - but it was still employment and the ironstone mines of Middlesbrough were hardly offering anything easier! So I started to research whether this was a personal journey or one that other families had made at a similar time. What I uncovered completely changed my understanding of 19th Century migration within the United Kingdom. 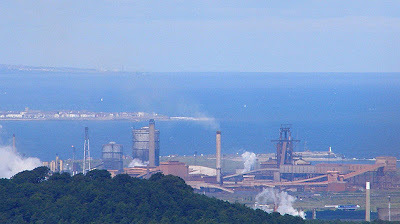 From a quick analysis of the census I discovered over 50 families made the journey from Woolwich to Middlesbrough and the surrounding villages of the "rusty gold" ironstone mines as Middlesbrough grew at a phenomenal speed from a village of just 154 people in 1831 to "Ironopolis" or as Gladstone described it an "infant Hercules" and a population of over 90,000 by 1901. What these records seem to show is that the new cities of the north needed not just raw unskilled agricultural labour but also skilled or at least semi-skilled workers that they had to recruit from previously industrialised areas. And that there was an ongoing need to recruit workers not just as the cities grow but as their core industries changed and developed, with the majority of the Woolwich families moving to Middlesbrough in the 1870s and later when Middlesbrough was being forced through global competition to innovate radically to hold onto its position as the world's largest steel producer. Further research into these families also challenged my preconception that migration to the new cities of the north was a one off. I thought that families "upped sticks", moved and then stayed put in their new home. 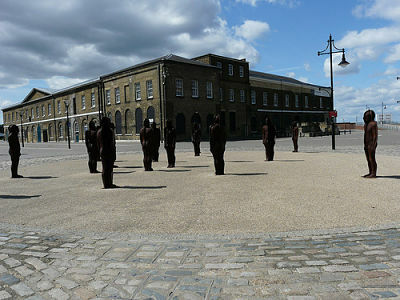 But the migration patterns of the Woolwich families are much more complicated. Some of them seem to have been long time south London and Kent families, but others such as the Gills who originated from Worcestershire & Herefordshire had only been in Woolwich for one generation before moving north and other such as the Gatehouses, Ohearas and Newtons were actually local Yorkshire families who had moved to Woolwich and then back up to Middlsbrough. What emerges is a pattern of families moving backwards and forwards taking skills with them and returning with new skills. And it was a pattern that my grandfather continued. In the 1930s, still in his teens he got on a train by himself and made the journey back south to London to start as an apprentice at - of course - the Royal Ordnance Works in Woolwich. Researching patterns of migration from and to places that your family lived is pretty straightforward but requires a little patience. If you have some migration clues from your own family history, it's simply a question of searching for census records containing both places names or if specific villages aren't producing results with county names. If you don't have any clues to start from it's a matter of wading through census searches for your target place to see if records come up with births or deaths outside the county and then using these for more specific searches to see if they are individual movements or part of something wider. "Old Betty Higden fared upon her pilgrimage as many ruggedly honest creatures, women and men, fare on their toiling way along the roads of life. Patiently to earn a spare bare living, and quietly to die, untouched by workhouse hands — this was her highest sublunary hope." Many of our ancestors will have shared Betty Higden's desire to escape the workhouse but sadly, too many will have failed in this hope. 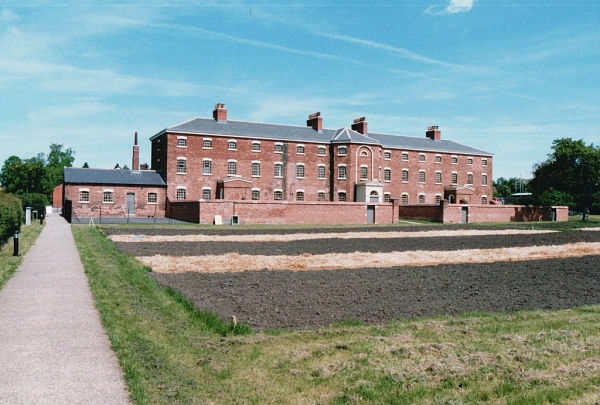 A "workhouse" was first opened in Gedling in Nottinghamshire in 1787, following the Gilbert Act of 1782, or rather a "poor house" as the act only allowed for the admission of the elderly, infirm and orphans. Gedling, like all other parishes, was still required at this time to provide relief outside the poor house - "outdoor relief" - for the so called "sturdy" poor who were able to work. 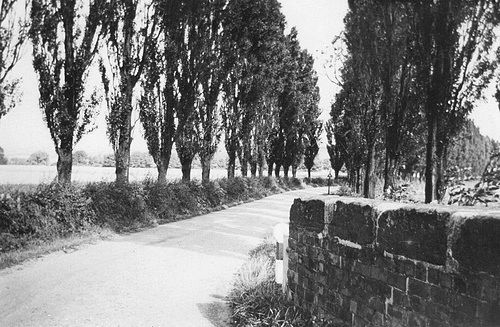 The Gedling poor house was built in association with 6 other local parishes on 8 acres of pasture land on Stoke Lane close to the river Trent. The poor house had a garden of 1 and a half acres and cows were kept on the pasture to provide for the inmates. As it was a poor house and not a work house no employment was provided. By 1834 the poor house was home - if it can be called that - to 53 people; 11 men, 21 women, 10 boys under 7 and 11 girls under 15. Gedling's poor house was subject to much criticism in the 1834 poor law commission. The commission noted that the poor house and the 5 local gentlemen who managed it were not inspected or scrutinised by the parishes who were paying for it. In turn the commission concluded that "the buildings are constructed without the means of proper separation consequently the poor are intermingled without regard to the personal comfort of the guiltless, the punishment of the sturdy or the moral improvement of the young." Whatever its limitations, the Gedling poor house did provide some care within the village for those who could not provide for themselves and those living there were not completely isolated from the rest of village life. Those men and boys able to, for example, attended church every Sunday at Gedling's parish church of All Hallows. The 1834 Poor Law Amendment Act which followed the poor law commission changed all this. Henceforth, anyone in Gedling unable to provide for themselves would be required to enter the work house and this would not be the small establishment in their own village but a new work house provided by over 30 parishes who combined in the Basford Poor Law Union. Most importantly the new work houses were intended not as places of care but as deterrents to unemployment and it was mandated that conditions should be worse than those of the poorest working labourer. The elderly of Gedling who ended their days in Nottingham's workhouses may not all have been "ruggedly honest creatures" like Dicken's Betty Hidgen but it was a terrible finale for those who had toiled all their working lives in Gedling to be torn from the care of the village at their very end. I highly recommend Peter Higginbottom's excellent website www.workhouses.org.uk as a starting point for anyone wanting to research work houses in places their British ancestors came from. You may also be able to find details of poor houses in your areas of research in the poor law commission. I searched census records with "Gedling" as a place of birth and "inmate" as a key word to find workhouse residents from Gedling. This did produce some confusing results in the 1851 census where a large number of people living in Gedling with people other than their family were recorded as "inmates". I am currently researching whether these were actually boarders or whether they provide an example of areas of Nottingham - which had a record as England's most radical city at the time - contravening the 1834 Poor Law Amendment Act and continuing to provide "outdoor relief" to the unemployed poor outside the workhouse.